Berkery, Noyes & Co. represents Elsevier, Inc. in its divestiture of Endeavor Information Systems, Inc. - Berkery, Noyes & Co., LLC. Berkery, Noyes & Co. represents Elsevier, Inc. in its divestiture of Endeavor Information Systems, Inc.
New York, November 21, 2006 — Berkery, Noyes & Co., LLC, one of the leading independent investment banks serving the information and technology markets, announces that it represented Elsevier, Inc. in its divestiture of Chicago-based ILS software developer and service provider Endeavor Information Systems, Inc. (“Endeavor”) in its sale to Francisco Partners, a leading private equity group. 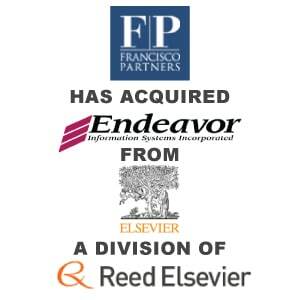 Endeavor will be merged with Ex Libris, which was acquired by Francisco Partners earlier this year. The combined entity will be a leading force in the library software and services marketplace. The transaction is subject to regulatory approval. Since 1994, Endeavor has pioneered the development of advanced library management software systems. In use at more than 1,600 institutions worldwide, Endeavor’s full suite of products offers superior functionality coupled with intuitive interfaces that increase usability and efficiency. 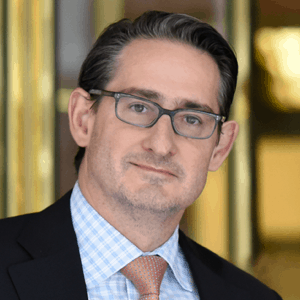 Berkery, Noyes & Co., LLC initiated the transaction on behalf of Elsevier, Inc., acted as its financial advisor, and represented it in its negotiations with Francisco Partners. 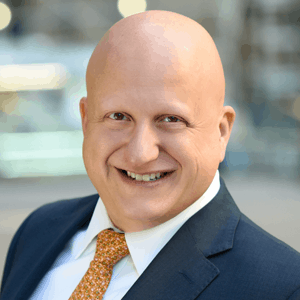 Mr. Berkery noted that his firm has been involved with many of the most notable transactions in the scientific-technical and academic publishing sectors, including those involving Reed Elsevier, Marcel Dekker, Springhouse, Wolters Kluwer, McGraw Hill and many others. Elsevier is a world-leading publisher of scientific, technical, and medical information products and services. Working in partnership with the global science and health communities, Elsevier’s 7,000 employees in over 70 offices worldwide publish more than 2,000 journals and 1,900 new books per year, in addition to offering a suite of innovative electronic products. With approximately $5 billion of capital under management, Francisco Partners is one of the world’s largest technology-focused private equity funds. The firm was founded to pursue structured investments in technology companies at strategic, technological, and operational inflection points. A leading worldwide developer and provider of high-performance applications for libraries, information centers, and researchers, with installations in 64 countries. ALEPH® 500, the Ex Libris integrated library solution, is in use at over 1,700 sites worldwide. Based in New York City, Berkery, Noyes & Co. provides strategic mergers and acquisitions transaction advisory services, financial consulting and strategic research to middle market information and technology companies in the United States and internationally.